Dinner for Thought is an anti-vaccine page run by Matt Jonker, who is as scientifically illiterate as they come and – consequently – a splendid demonstration of the Dunning-Kruger effect in action. “To some, I may seem like some sort of modern day renegade; some kind of rogue in a vast wilderness of pharmaceutical influence,” says Jonker – almost like Galileo. Like most antivaxxers, Jonker blames vaccines for probably non-existent “spikes in autism” (his observations are based partially on conspiracy rants like the one discussed here). 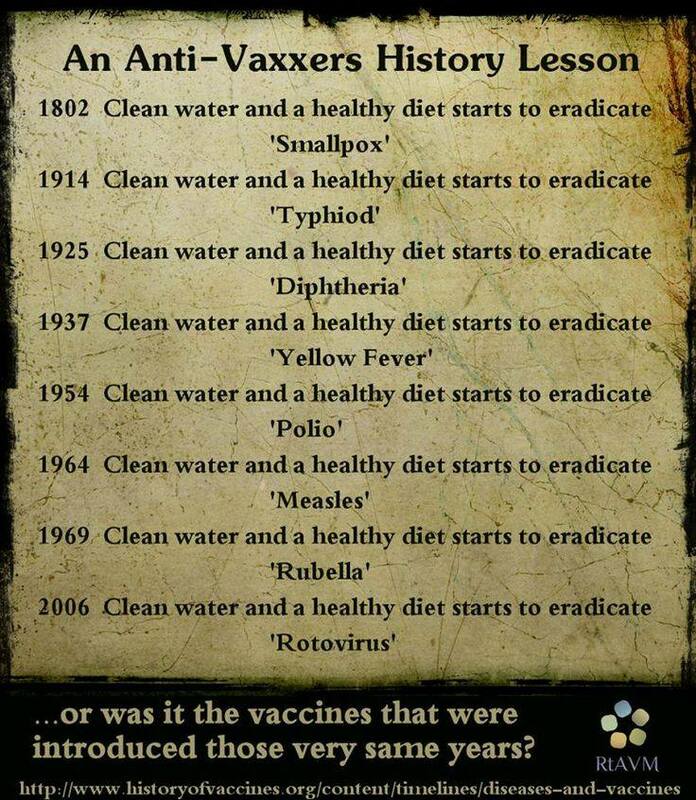 No, seriously, there really is no such spike, and vaccines don’t cause autism. Here is a discussion of Jonker’s article “Why Don’t You Vaccinate”, a listicle compiled as a result of Jonker “researching this topic in depth for quite a while now,” where “researching” means studying various conspiracy theory sites – when Jonker repeatedly appeals to how the current vaccine schedule isn’t science-based (it is), it isn’t because the schedule isn’t science based, but because Jonker hasn’t bothered to look and has no clue how to interpret the science. 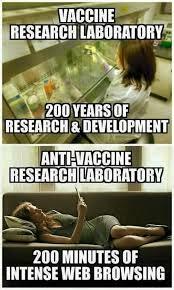 So, the list offers a number of common antivaxx tropes, starting with “Vaccine manufacturers are immune from any and all liability,” which is false but a common misunderstanding among those who don’t understand the role of the Vaccine Court (hence demonstrating, if needed, that Jonker is an utterly unreliable source of vaccine-related issues.) 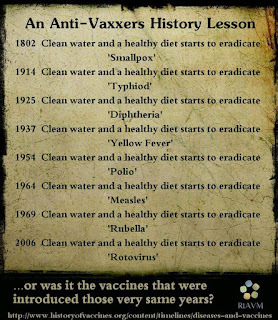 After describing the conspiracy suggested by this (false) observation, Jonker goes straight to the “vaccines didn’t save us” gambit, inferring from the false claim that since “cases [of polio, measles, diphtheria, tetanus] were already declining before vaccine introduction, so it’s almost impossible to prove that the vaccines are what saved us from outbreaks” (it really isn’t that hard), to “I don’t believe that vaccines eliminated diseases.” They did. Jonker, of course (and if we interpret him charitably), conflates disease incidence with disease mortality (which generally did steadily decrease before the introduction of vaccines due to improvement in medical treatments in general), and even though that interpretation is charitable it still makes him come across as a complete moron. Then he claims that “[h]erd immunity does not exist,” which is approximately like claiming that atoms don’t exist and refusing to look at the evidence. Herd immunity exists. There is even quite a bit of mathematics to quantify it. Jonker has no idea what he is talking about, and probably has no idea that he has no idea. Then there is the toxins gambit. “The ingredients in vaccines scare the crap out of me,” says Jonker, which says nothing about the ingredients but quite a bit about Jonker since it demonstrates that he is chemically and medically illiterate; he also appeals to the difference between injecting and digesting chemicals, which he doesn’t understand. “Have you noticed the epidemic of childhood cancer that is happening today?” asks Jonker, pointing to the vaccine ingredients: “No, they don’t know what’s causing it.” There is no epidemic of childhood cancer. Moreover, “[m]any vaccines contain foreign animal DNA,” continues Jonker, which his “common sense” tells him makes vaccines unsafe. It’s probably safe to say that Jonker has no idea what happens to “foreign DNA” that finds its way into the bloodstream. Another of Jonker’s listicles is discussed here. At least he is aware that he is – and honest about being – an antivaccinationist and conspiracy theorist. He also rejects conventional medicine – “man-made medicine that will ‘help’ only to a certain degree” – in favor of holistic medicine: “Most of the things your holistic health provider recommends fix the problem fast, with no side effects, are cheaper, and have been proven for hundreds or even thousands of years.” Of course, actual scientific research consistently shows that this is not the case (“alternative” means unproven or proven not to work), but then again scientific research is part of the conspiracy. Jonker relies on his intuitions about what’s natural. 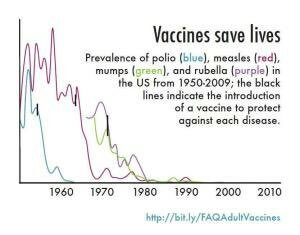 At least it’s useful to have another illustration of how anti-vaxx attitudes tend to correlate with religious belief in quackery. Diagnosis: Since ignorance is typically accompanied by ignorance of one’s own ignorance, arrogance is a typical side-effect: The combined efforts of scientists be damned when they come up against Jonker’s decidedly non-scientifically based intuitions about how things ought to work. Probably not deeply influential on his own, but antivaxx conspiracy theories and attitudes like Jonker’s are definitely a serious problem.